Every time someone visits a foreign country, no matter the reason, they are trying to get a sample of their traditional food, as part of the fun. After strolling through the city all day long or after visiting famous landmarks who’s not up for a good meal? Looking for traditional Romanian food or maybe for the best restaurants in Bucharest? For sure, you have a lot to choose from. A Bucharest restaurant that caters for all tastes is of course, how did you guess? 😊, Voievodal Restaurant. Why come here at one of the best restaurants in Bucharest? Last but not least – THE FOOD! Best restaurants in Bucharest always offer their tastiest version and so do we! The day time salon- the Princely salon – also houses a grilled barbeque of impressive size, with exposure towards the customers who can thus admire the whole process of preparation of grilled recipes. special events venue : cocktails, receptions, formal dinners as well as business meals, dinners organized for tourists, private parties and traditional Romanian feasts (wedding anniversaries, baptism anniversaries, other occasional anniversaries) of up to 400 people. 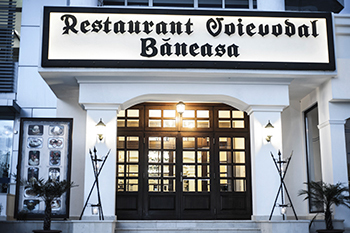 Come visit one of the best restaurants in Bucharest – Restaurant Voievodal Baneasa !